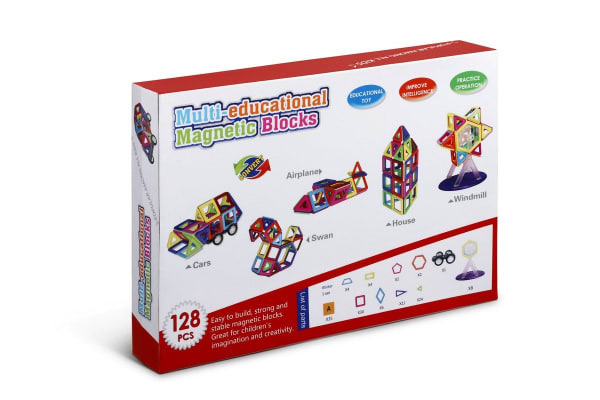 This fantastic set of magnetic blocks provides children with endless hours of fun – while learning in the process! 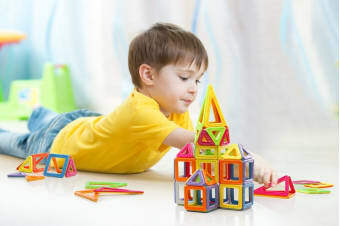 The 128 Pieces Magnetic Block Set is a fantastic way to get your children thinking and to hone their creativity. 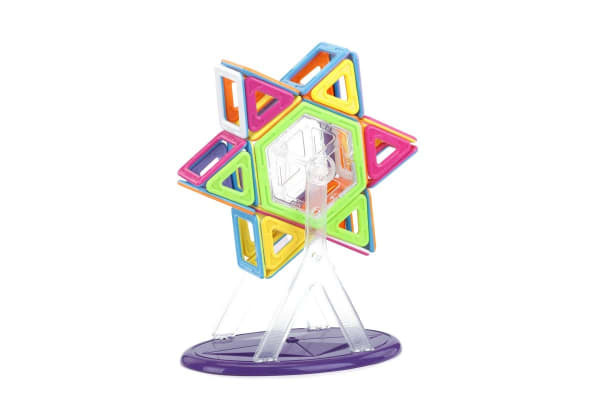 Build a spaceship or put together an animal – the possibilities are endless with the wide variety of shapes included. Learning has never been more fun! This fantastic set of shapes will keep your children occupied for hours on end, while helping to stimulate their concentration, creativity and motor skills.